Firstly ,saute the onion with olive oil then add all the ingredients, except butter and vermicelli noodles, then stir, cook until the colour of vermicelli noodles turns to light brown over under medium heat. 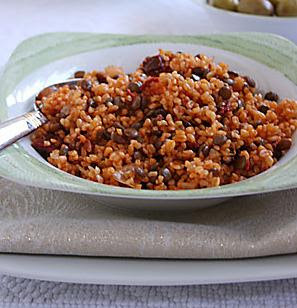 Check bulgur Pilaf, when you start seeing holes towards the end, add in the lightly browned vermicelli noodles and stir afterthat when all the liquid has evaporated. Bone Appettide ! 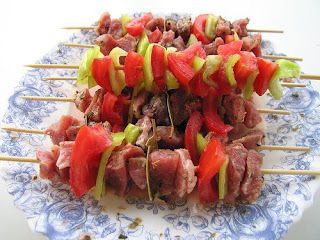 Turkish shish kebab:one the most famous turkish - Turkey food , recipe .